So you think you are a person of integrity, there is a very easy way to check yourself. 1. Do you cheat on your taxes? 3. Do you do what you say and mean what you do? Is your word your honor? 4. Do you follow haters and vitriolic people in social media? 5. Do you celebrate or support killing, hating, wrong doing or mean spirited posts or people? 6. Do you hide things from anyone close to you like your cell phone or iPad? 7. Do you make excuses for bad behavior in you or others? 8. Do you enjoy television shows or movies which celebrate bad behavior, dysfunction or violence? 9. Do you do the right thing when no one is looking? 10. Are you loyal? Do you have your friends back? Integrity is paramount to character and with society rapidly descending into a constant stream of bad behavior, there has never been a better time to check your integrity and rise to the top of the barrel like cream. 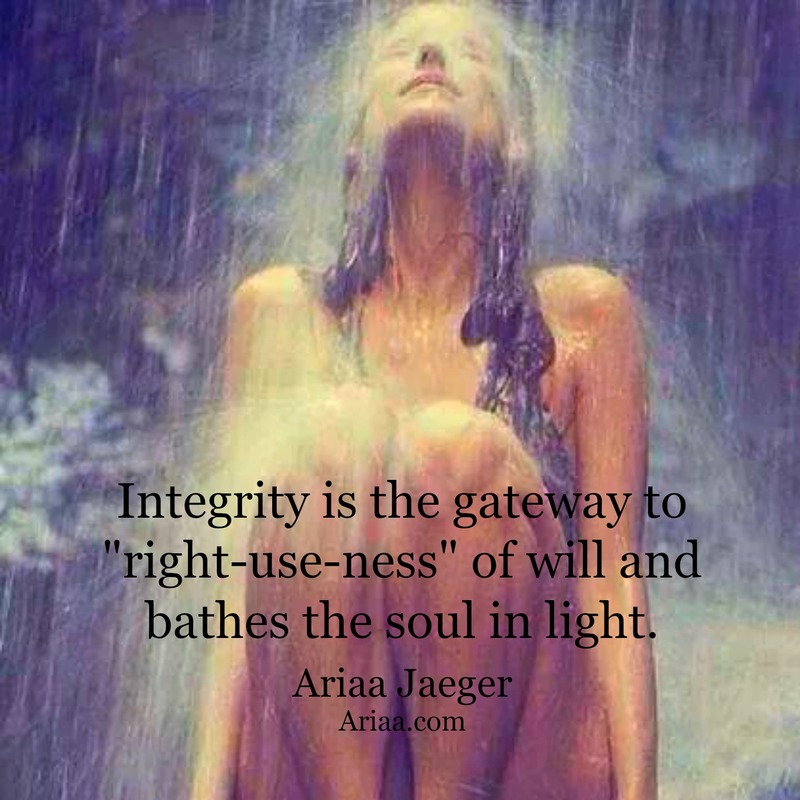 You may not realize it but you are creating negative karma for yourself if your integrity is wavering. What goes out will return and with far more intensity. Take yourself to task and walk the walk or be subject to the onslaught of others doing to you what you are doing to yourself. You have spent your entire life learning how to be strong and how to have a thicker skin to protect your fragile heart. You have learned how to “let it go” how to defend yourself against verbal attacks, how to act like a roughen and some of you have sadly learned how to act like Honey Boo Boo’s inbred cousin. Now reverse it. That’s right, soften your sinews, think before you speak, speak from a heart of love or don’t speak at all. We are currently in a cycle where words are magnified more so than ever before and they WILL have a boomerang effect on YOU. It is time to develop diplomacy, time to THINK before you speak and I don’t just mean about what you are going to say; I mean THINK whether it needs to be said at all. Will it help, will it hurt, will it change anything? Don’t bark at the air for many are now able to feel that air with every breath. 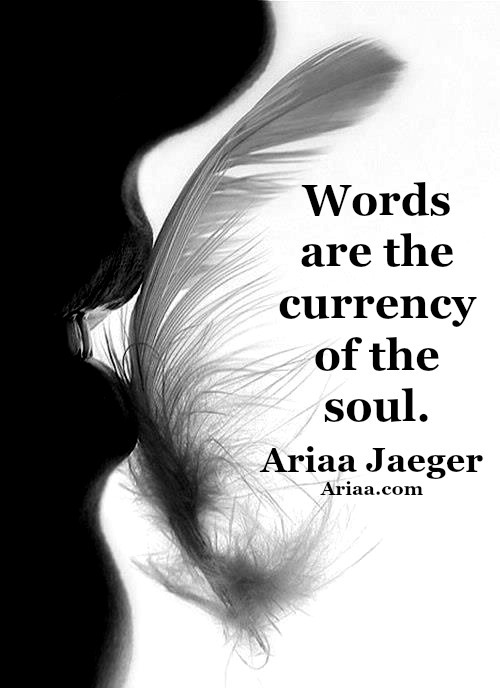 Use some emotional intelligence and understand that words are the currency of the soul and you can either be spiritually bankrupt with utterances of nothingness or you can be wealthy with verbiage that affects change. Soften, stop spewing your useless opinion about people and things that you are not even remotely qualified or capable of doing anything about. Conversely, soften your dialogue and become the voice of wisdom and reason to those issues you can affect change, to those debates where your voice can actually create tangible results. If you don’t know the difference, then it’s really simple, don’t speak at all. I am madly and passionately IN LOVE! I can’t believe it after years of resisting anything remotely that looked like a huge commitment but here I am in a committed meaningful relationship! It began at Dillard’s when I was shopping for something to wear for a special occasion, I had no idea how special this day was about to become. I had just wrapped up a wonderful afternoon of laughing with four women in the dressing rooms while trying on designer clothes. We were openly laughing about our flaws and bumps and curves and each of us found the perfect outfit and lavished each other with praise. We even took a selfie marveling at how it takes a village to dress a “mature” woman nowadays. I wrapped up my purchase, spread hugs all around and dashed off to find the perfect jewelry to wear with this masterpiece. Then it happened…I was on the main floor meandering through the perfume and make up stations, smiling and waving at all the women who work at Dillard’s whom I have encountered for years. And there across the room, there HE was. At first I was so afraid but suddenly one of the women I had been trying on clothes with approached me and as if she knew my fear, she put her arm around me and said, “Go for it! You deserve this kind of happiness!” Sheepishly I approached him and as I reached out, he practically leapt into my arms, it was as if time had stopped and we were the only 2 in the room.